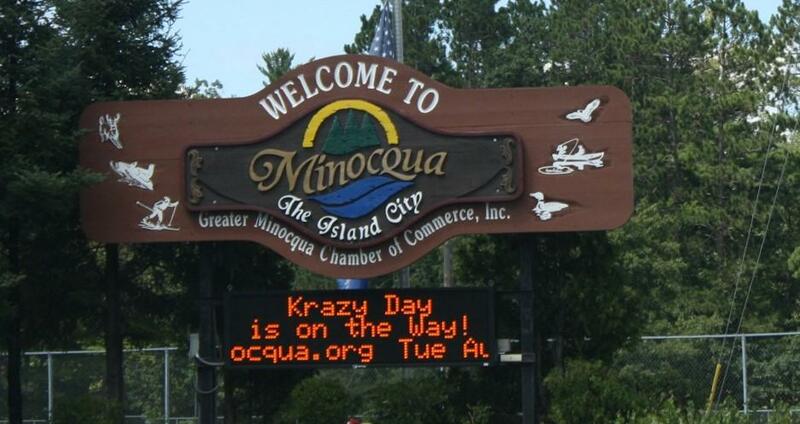 It took the urging of a former town chairman, but Minocqua is back on track to installing uniform address signs on nearly each parcel of property in the large township. The large 16x8-inch double face signs – roughly 6,000 of them -- will help firefighters and first responders in locating fires and other emergencies. The town was set in May 2017 to award a $142,000 bid for purchase and installation of the signs, but a bidding issue resulted in no further action. The proposed project languished for many months, until a recent meeting in which former chairman Don Gauger asked why the sign project hadn’t been rebid. So this week the town board selected the type and style of sign – white letters on a black background -- and galvanized steel posts over iron posts. Supervisor Bill Stengl preferred the better quality posts even if it cost a bit more. Posts, hardware and installation will range from $25 to $35 each. The other supervisors agreed and the project will now be bid out with installation eyed for spring 2019. The project cost will show up on real estate tax bills as a special one-time charge.